Who is a hero to you? A fireman, policeman, elderly friend, role model, teacher, etc? You do not need a coupon for this offer. Visit Krispy Keme online – http://www.krispykreme.com/heroday – to learn more. 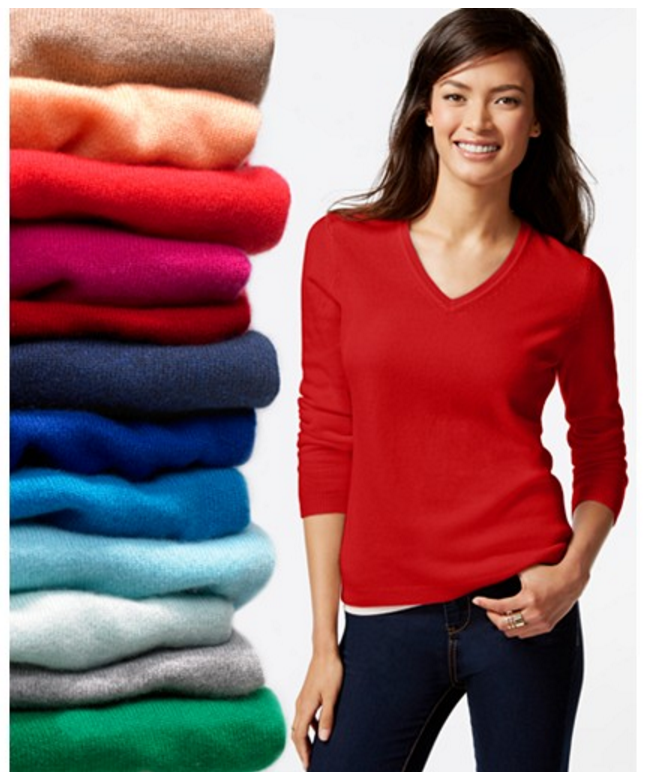 One hot deal, I am excited for, is their Cashmere Sweaters for $39.99 from $139.99 – it is so hard to find Cashmere for under $100. FREE shipping when you spend $50 – again, another reason it is worth spending $50! If you follow, we recently moved from Florida to the Virginia suburbs of DC. In our past, pumpkins were mostly important and found at a local corner church. 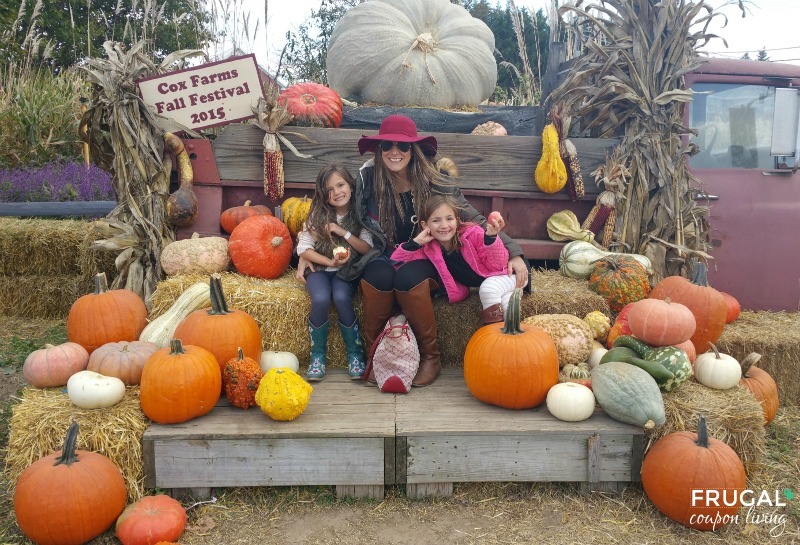 Fall Festivals were events held in school, usually with a trunk or treat or sack race involved, visiting Cox Farms, my whole perception changed. 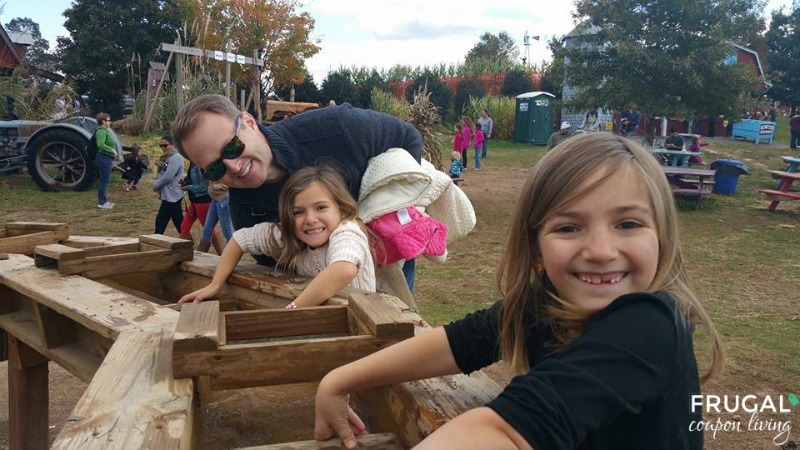 Cox Farms is DC area’s most famous fall festival. The festival is open daily September 26-November 3 and will wrap up with Pumpkin Madness Weekend November 7-8. I had a chance to talk with Arron Cox and he informed me that the festival began in the mid 80s and exploded in the 90s and has remained strong until today. My husband and I were trying our best to compare it to anything we have ever been to before and we were unable. The best way to describe it (and still it does not do it justice) is a glorified county fair or a 1950s Disney World. I am not sure what was my favorite during our visit. Everything was so fun. The girls did rope swings, slid down dozens of slides, we gem mining, saw and pet many animals, and so much more. There are hayrides, a corn maze, a new Imaginature Trail, entertainment, food, and plenty of decorations and excitement. 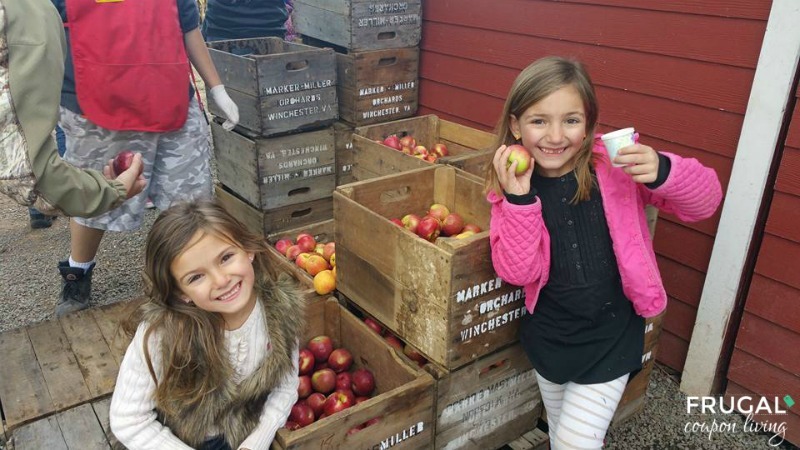 Cox Farm also gives everyone one a free apple and cider for snack. On the way out, grab a free pumpkin or shop the store for larger pumpkins, fruit, handmade gifts, jams and more! Looking for discounts? Cox Farms offers a $5 discount on up to four Fall Festival tickets to public servants the weekend of Halloween (October 31-November 1). Additionally, government employees, educators, first responders, law enforcement, nurses and members of the military can save $5 by presenting a valid badge or identification. You can also get $5 tickets! Weekdays in October, after 4PM you can get $5 Last Call Tickets. Also, sign up for emails and notifications. Cox Farms Members and Fear Fanatics receive additional discounts and offers. Also look for days of fear in the Field of Fear. From September 25 to October 31 (and again November 1), visit Saturday and Sundays when the Imaginature Trail goes dark. The forest is transformed into a haunted attraction. Also take a ride on the Dark Side Hayride and the Cornightmare. Amazon Deal of the Day: Wearever 15 Piece Cookware Set Only $99.99! Head to Ink Garden to get custom pillowcases for only $4.99. Get your personalized pillow case with coupon code at checkout. I gave this as a gift last year, and really regretted not grabbing additional custom pillowcases as it turned out much better than I ever thought was possible. I really am loving the many NEW looks and designs that Ink Garden is offering. There are even Halloween Designs which are great for Trick or Treat Bags. Use Halloween clip-art and themes for your custom pillowcase to make a bag the kids will love. Shipping is an additional $4.99 so your total should be $9.98 before tax. Head to Ink Garden and get started just be sure to use coupon code SLUMBER at check out! Find more Photo deals on Frugal Coupon Living! Amazon Deal of the Day: 50% or More Off Costumes & Accessories! Today only, save 50% or more on Halloween costumes and accessories. Check out fun holiday picks for women, men, kids, and baby–including favorite Star Wars characters, popular superheroes and villains, humorous get-ups, couples and so much more! 15% off Frappuccinos at Target Starbucks Locations! WOW! I am not really missing my old Target store with a Starbucks locations inside it! Because right now you can get 15% off Frappuccinos at Target Starbucks. Just present this new Target Cartwheel offer to get the discount. Don’t forget that you can use the Cartwheel offer to pick up to four items. This offer is valid through 8/15. Quilted Northern Ultra Plush Bathroom Tissue only $0.22 per single roll! Through the end of today (7/22) Staples offers Quilted Northern® Ultra Plush Bathroom Tissue, 3-Ply, 30 Double Rolls pack for only $12.99! That makes each double roll just $0.43 each or $0.22 per single roll! This is a nice stock price to pay without any coupons or rewards deals to worry about.